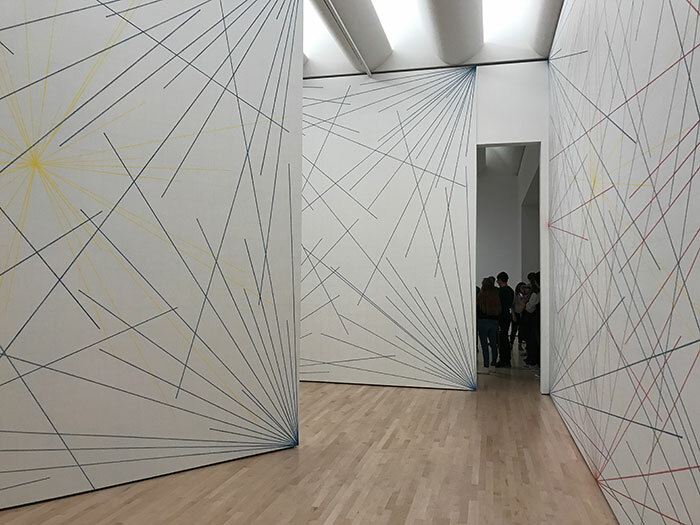 The other month I visited the San Francisco Museum of Modern Art, and Sol LeWitt’s Wall Drawing 273 was one of my favorite installations there. 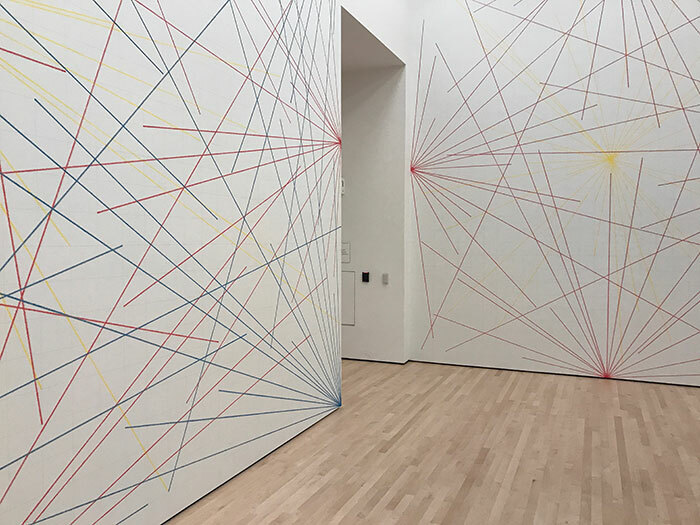 The installation is made from graphite and crayon on seven walls. 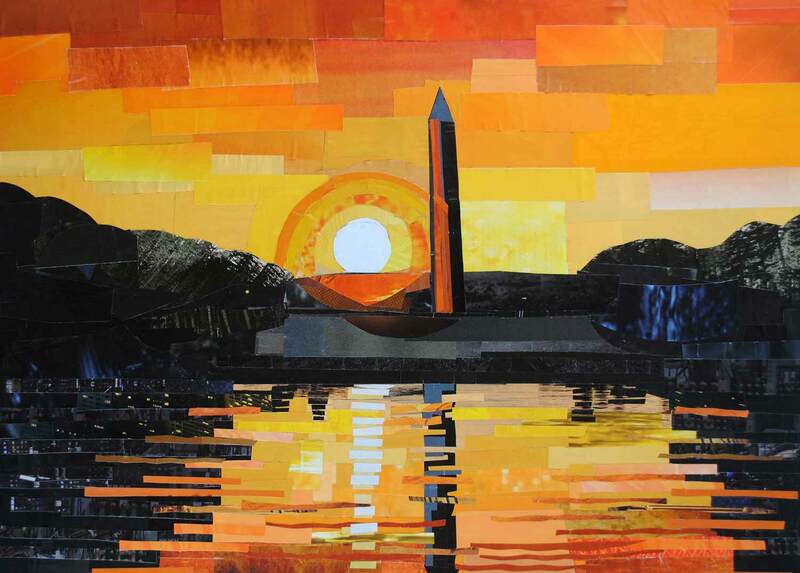 I’m drawn to geometric shapes when it comes to works of art that I admire, and I liked the simplistic use of line and color. It creates an overall clean and minimalist look. I drew some inspiration from LeWitt’s use of line. Perhaps I’ll start playing with bolder lines in my own work.